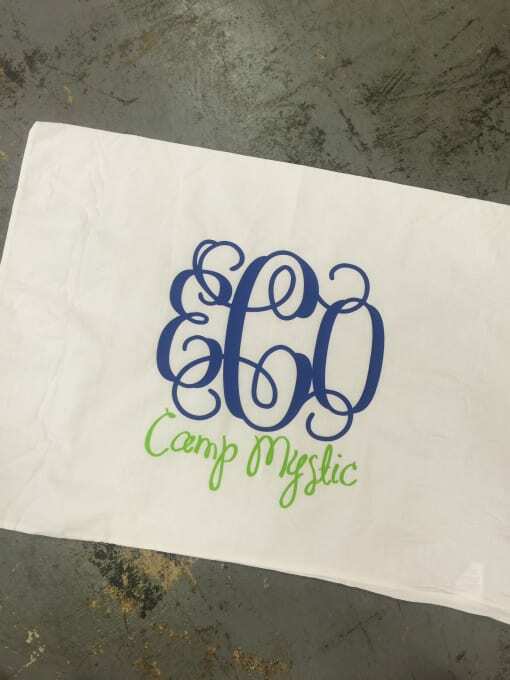 Personalize your camper’s pillowcase with his or her monogram, cabin name and camp name! We recommend sending these with fabric markers so that cabinmates can sign before camp closing. 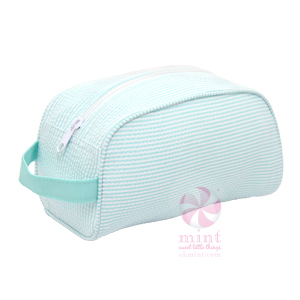 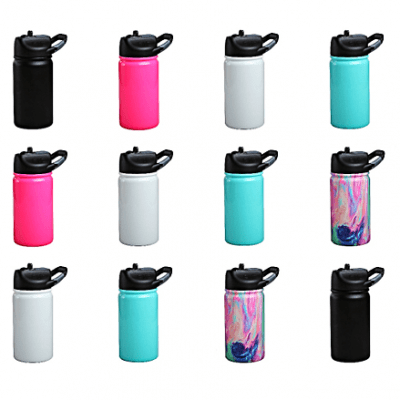 Fun to have ready before, but an especially great item for camper care package! 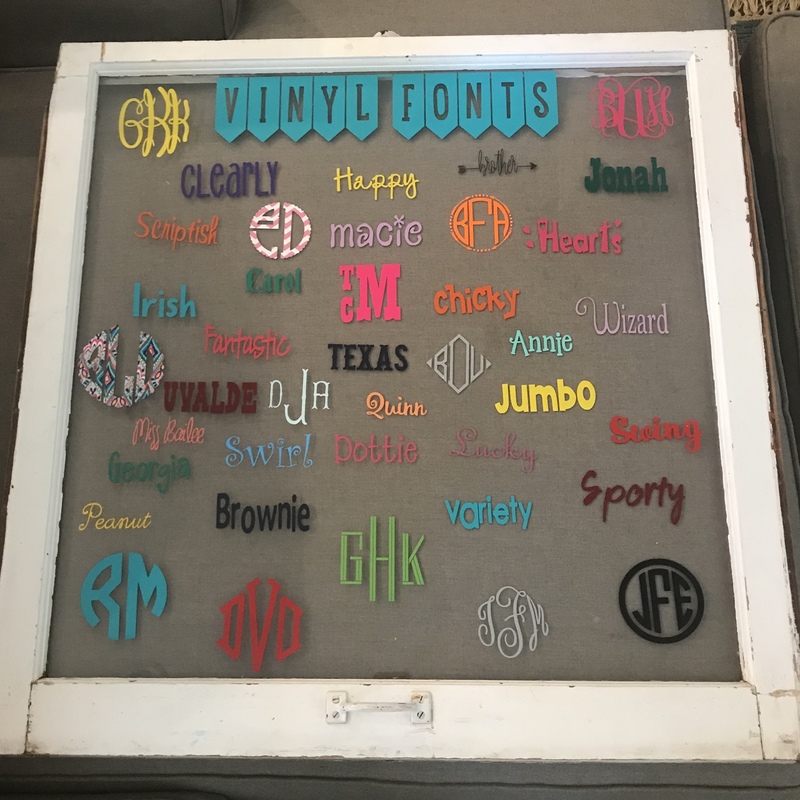 **How to personalize yours: In our customer note section type the following…use gallery image of window for vinyl font options. 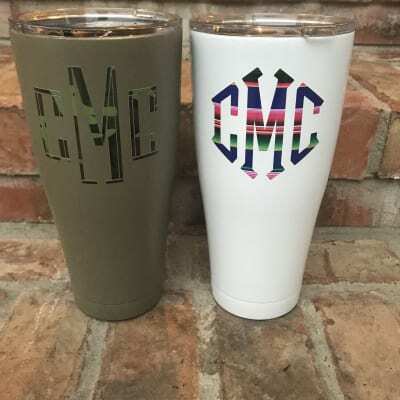 Monogram listed in First Name Middle Name Last Name order. WE will put them in the correct order for monogram(last name center). 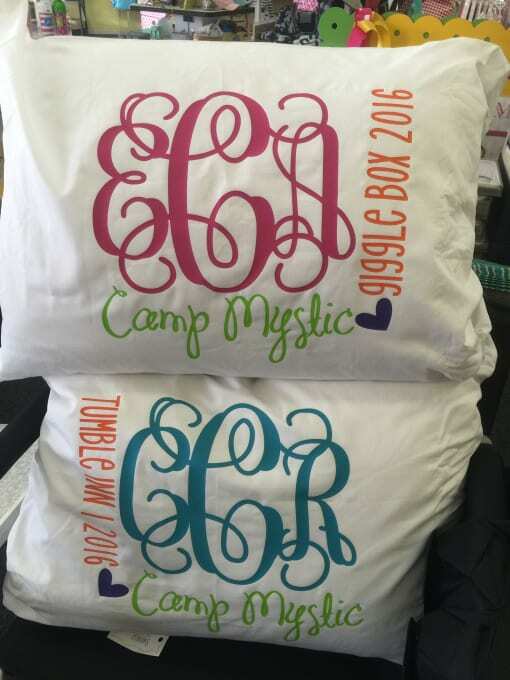 Cabin name, color & font. 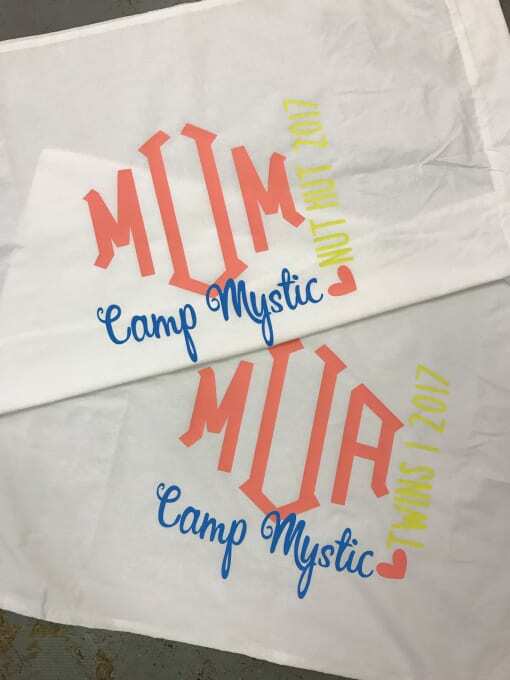 Camp name, color & font.